Our Chief Technology Officer, Bob Currie, will be joining experts from the energy and technology sectors for Smart Grid Canada. Bob will be part of a panel session taking place on the 12th September which will be focusing on the intersection of smart networks & smart cities and looking at the opportunities this brings. 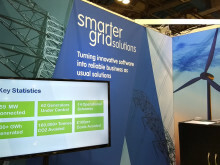 Smarter Grid Solutions has previously worked in Canada, with utility PowerStream Inc. on a study focusing on distribution asset deferral options.